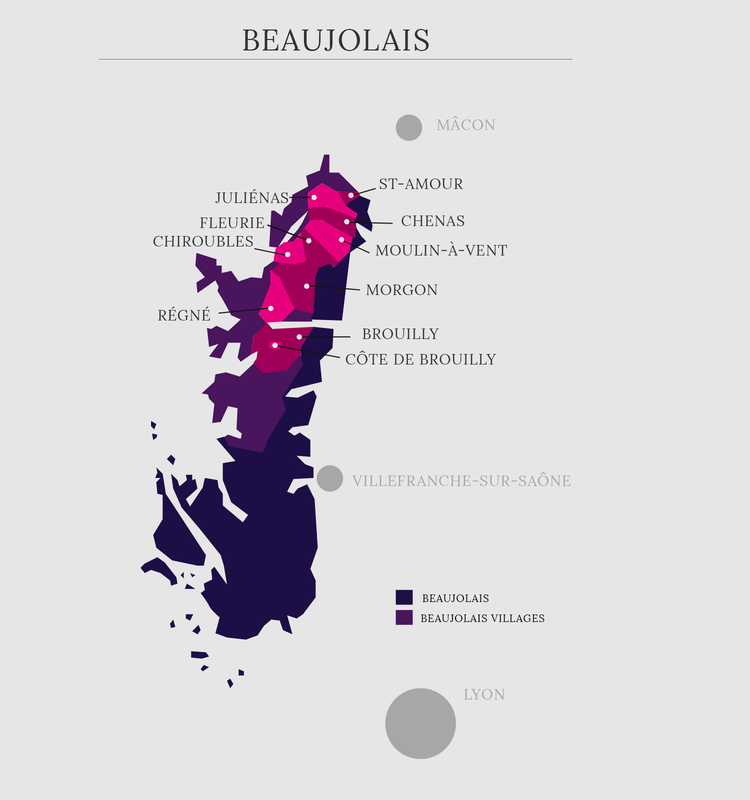 Controlled appellation Fleurie is the third appellation of Beaujolais in terms of area. Its wines are known for their finesse, thanks to a northwest-southeast exposure. Some like it very fresh, others prefer at 14-15 ° C to better appreciate its fruity notes. Wine-making Traditional. Handpicking. Followed by a semi-dry method of maceration. Whole grapes are vinified in stainless steel tanks to produce fruity wines. Maturation in stainless steel tanks for 9 months. Character and style The color is intense ruby color. The nose is pleasant with aromas of red fruit (raspberry, strawberry and cherry). On the palate, this wine is subtle and very elegant. Its floral and fruity notes make this a pleasant Fleurie wine, all in balance. This Fleurie marry well with rabbit, veal meatballs or a “blanquette de veau”. Otherwise, try it with poached eggs, one of the treasures of Burgundy!